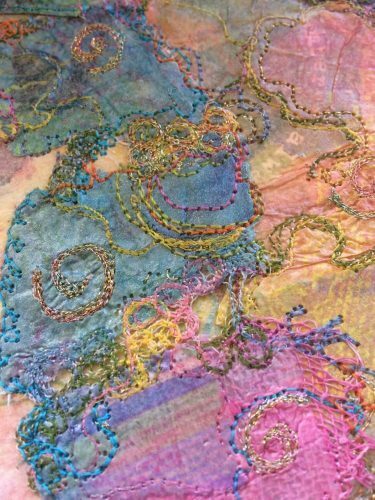 Fancy colour, thread, texture, mixing media and then using a sewing machine? Karen Hall is a textile artist who loves all of these and who is happy to pass her enthusiasm on. And she’ll be doing just that on 26 and 27 May at the Fibre and Fabric Fair in Harlech. 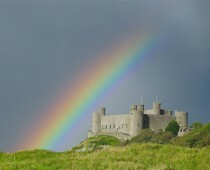 And here’s another reminder – the Fair is open both the Saturday and the Sunday, 26 and 27 May, it’s in the Memorial Hall in Harlech, and … there will be teas, coffees and cakes available. As well as lots of things to try, and some to buy, and some to inspire.